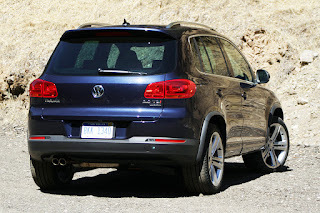 Volkswagen Tiguan is a compact crossover vehicle (CUV) manufactured by German automaker Volkswagen using the PQ35 platform of the Volkswagen Golf. All Tiguans feature two-row seating and four-cylinder engines. 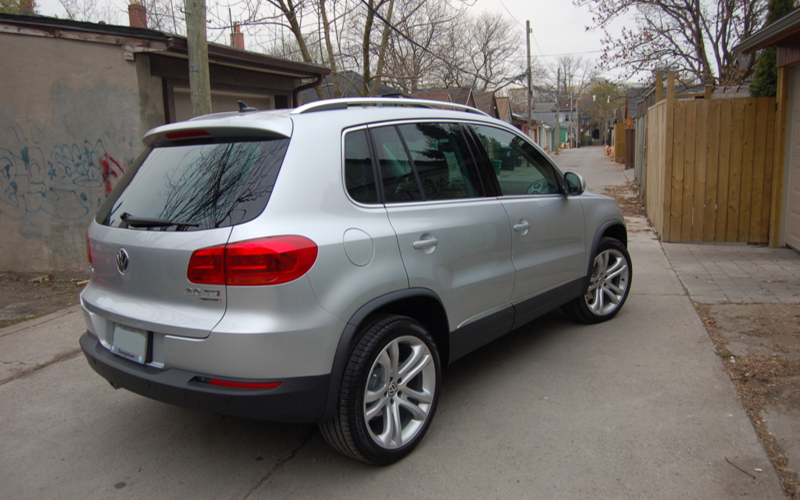 The Tiguan debuted as a concept vehicle at the November 2006 Los Angeles International Auto Show and in production form at the 2007 Frankfurt Motor Show. 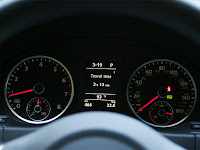 Manufacture began in the winter of 2007 at Volkswagen's 2001-2009 subsidiary Auto 5000 (an experimental company-within-a-company) in Wolfsburg and continued subsequently under the company's standard contract arrangements, at Wolfsburg and in Kaluga, Russia. 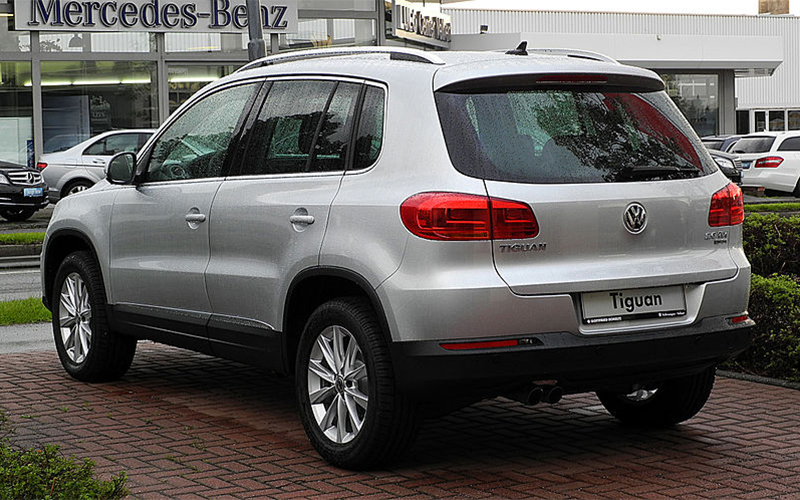 The name Tiguan, pronounced TEE-gwan, is a portmanteau of the German words Tiger (“tiger”) and Leguan (“iguana”) and won a naming contest by German car magazine publisher Autobild — from a field of names that also included Namib, Rockton, Liger, Samun and Nanuk. 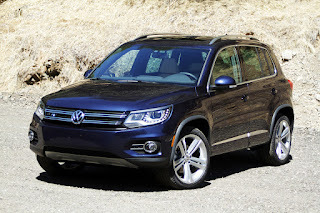 The Tiguan is offered worldwide in various trim levels. In the US, trim levels include S, SE, and SEL. In the UK, trim levels are S, Match, Sport and Escape. 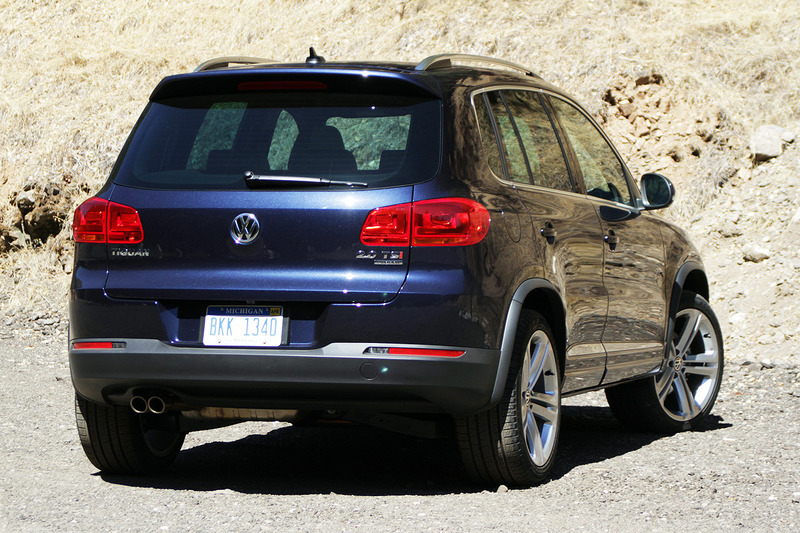 In Canada, trim levels are Trendline, Comfortline, and Highline and Highline with an optional Sport Package. In Russia and other markets, trim levels include Trend & Fun, Sport and Style, and Track & Field. 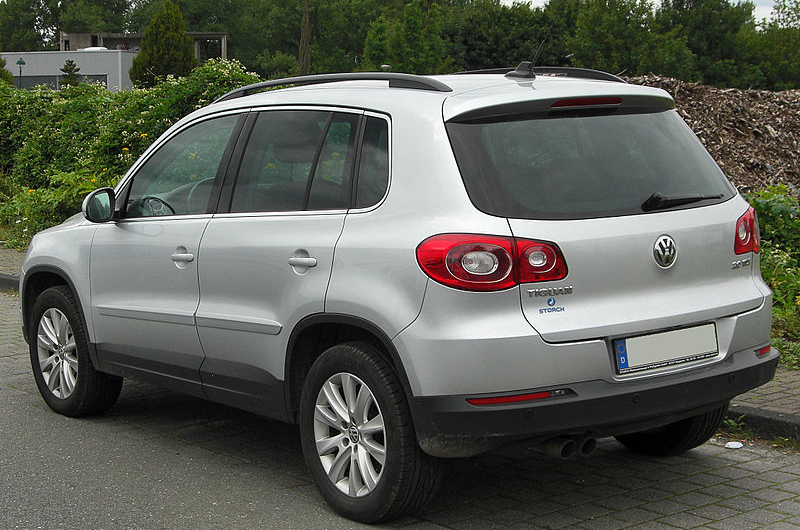 European markets received an R-Line trim level beginning in 2010. The Trend & Fun specification offers a maximum approach angle of 18 degrees. Features include six airbags,ESP, Trailer Stability Program integrated with the ESP, Isofix child seat anchorages on the rear bench and electronic parking brake with auto-hold function, RCD 210 radio with integrated CD player, semi-automatic climate control system, four electric window lifts, electrically adjustable and heated outside mirrors, trip computer, RF remote control of central locking and various storage compartments and bins. Sport & Style offers additional features, including 17-inch alloy wheels, chrome roof rail, chrome strips on front bumper and surrounding side window lining, tinted windows, sport seats with height-adjustable lumbar supports center console with folding and height-adjustable armrest, folding front passenger seat, drawers under the front seats, folding table and storage pockets on the backs of the front seats, leather for steering wheel, gear shift knob and gear shift boot, fabric seats with Alcantara accents, cruise control system and tire pressure indicator. The Track & Field package features a redesigned front module with a 28-degree approach angle, hill descent assistant, modified driving pedal characteristic, EDS adaptation (electronic differential locks are activated at the slightest slip), ABS adaptation (which aids with braking on loose substrates), hill ascent assistance, automatic transmission gear level pre-selection (including optimal engine braking effect), 16-inch alloy wheels, tire pressure indicator, black roof rails, engine underbody protection, compass display, special door impact guard strips and seats with adjustable lumbar support. The import version of Tiguan appeared on the Chinese market in 2009 with a locally built version (aka Shanghai-Volkswagen Tiguan) debuting at 2009 Guangzhou Motor Show. The Chinese-built Tiguan uses 1.8TSI (118 kW) and 2.0TSI (147 kW), and has a revised front facia. At the same time the import Tiguan is still sold in China, which has 2.0TSI and R-Line kit as highlights. The basic design of the import model is the same as the international one. In order to differ locally built and import models, Shanghai-VW Tiguan is given a Chinese name, known as 途观 (tuguan), and the import one keeps the original letter name. On July 17, 2009, the general manager of Shanghai Volkswagen as well as the company's public relations chief and two other executives of the company, died in a company-owned VW Tiguan in a high-speed traffic accident. According to Chinese media reports, Shanghai VW General Manager Liu Jian and PR chief Zeng Jialin, plus two other executives, were traveling at 220 km/h (140 mph) — far exceeding the expressway maximum of 110 km/h (68 mph) — when the Tiguan hit a truck and burst into flames. However, this has been questioned by "many", because according to VW, the Tiguan has a top speed of only 200km/h, and because there is a toll station 2km away from the site of the crash. At the 2007 Michelin Challenge Bibendum in Shanghai, China, Volkswagen showed the Tiguan HyMotion study powered by a hydrogen fuel cell. 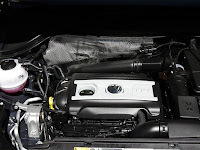 The fuel cell produces an output power of 80 kW (110 hp) and the electric motor has 100 kW (130 hp). These figures give the Tiguan HY.MOTION a top speed of 150 km/h (93 mph) and an acceleration from 0 to 100 km/h (0 to 62 mph) in 14 seconds. The lithium-ion battery has a charge capacity of 6.8 ampere-hours and is an auxiliary energy storage system. Power output from the lithium-ion battery is 22 kW. Battery charge is recovered from braking energy or the hydrogen fuel cell. Last updated on 11 September 2015 at 07:21.